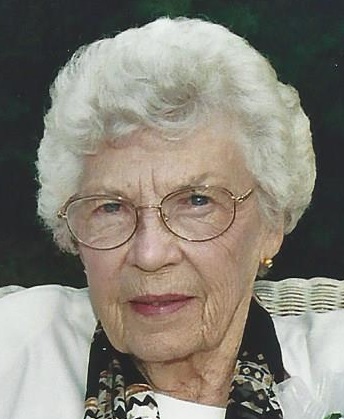 FULTON, NY – Ella O. Cantine, 94, of Mount Pleasant, died peacefully at home under the care of those who loved her on Thursday December 17, 2015. Born in Fulton, she had resided in the area her entire life, working for Nestle and as an administrative assistant for Oswego County Heath. Ella was a life member of the Fulton Presbyterian Church. 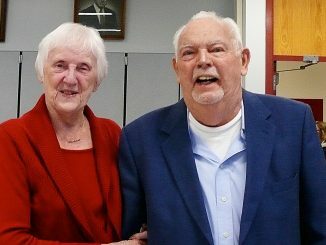 She enjoyed playing bridge, golfing, camping, maintaining her four acres of country property in Mount Pleasant, traveling and spending time with her family, especially her grandchildren and great-grandchildren. Ella was also an honorary member of the Rap-Shaw Club at Stillwater Reservoir and a life fan of SU sports and the Yankees. She was predeceased by her husband, Thomas G. Cantine Sr., in 1996; son, Thomas G. Cantine Jr., in 2010; two brothers, John Edward and Charles Francis Owens; and her companion, John W. Davis Sr.
Ella will be deeply missed and forever loved by her daughter, Christine (Charles) Lighthipe; daughter-in-law, Pamela Cantine; grandchildren, Joshua (Emily) Lighthipe, Amanda (Matthew) Timmerman and Joslyn and Gracyn Cantine; great-grandchildren, Jack and Cora Lighthipe and Eli and Logan Timmerman; sister-in-law, Margaret Owens; niece, Carol Davis; nephews, Charles and David Owens; several great-nieces and great-nephews. Calling hours will be Tuesday, December 29, from 4 to 6 p.m. with a service to follow at Foster Funeral Home, 910 Fay St., Fulton. If lieu of flowers, donation may be made to the American Diabetes Association, 6390 Fly Road East Syracuse, NY, 13057 or Mount Adnah Cemetery, 706 E. Broadway, Fulton, NY 13069. I remember Ella from the Health Department. I was new to County Government, as Debbie Keppel back then…and she was very nice and helpful. I worked the front desk, and Ella was in the Public Health Nursing department. She told wonderful stories about Mount Pleasant (not being from here, I had no clue where that was, big smile!). I am sorry to hear of her passing…but I am happy to have known her for three years in the 1970s! I also remember how much she loved her husband, Tom. I only met him at a holiday party in Mexico, one year…blessings and rich memories to all her family. Rest Ella! Two passings from Public Health in one week…also nurse Jeanette Loomis … travel together across the rainbow bridge?